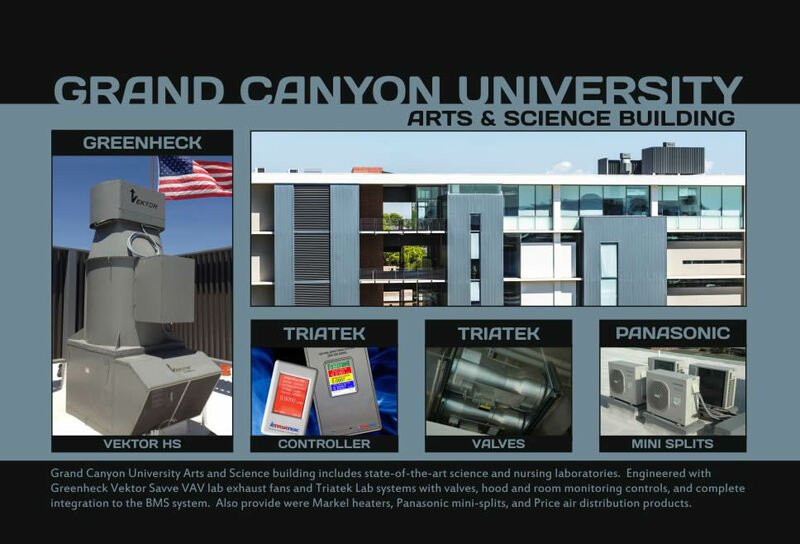 Grand Canyon University Arts and Science building includes state-of-the-art science and nursing laboratories. Engineered with Greenheck Vektor Savve VAV lab exhaust fans and Triatek Lab systems with valves, hood and room monitoring controls, and complete integration to the BMS system. Also provide were Markel heaters, Panasonic mini-splits, and Price air distribution products.